John M0IDA, Rob M0VFC and Steve M1ACB (that’s me) hope to be QRV as C6APY from Little Harbour Cay, Berry Islands, IOTA NA-054, locator FL15do. We fly into the Bahamas on 2nd March, but it’ll take us a couple of days to get there, so we hope to be QRV around the 4th March – but this is very much weather dependent, as is the whole operation. We fly back to the UK at the end of the 12th March, which means we will need to de-rig on the 10th or 11th, again varying according to the weather. Operation probably won’t be 24/7 – we’ll do as much as we can, but eating and sleeping is back on the boat, there’s only three of us, and we’ll probably want to go for the occasional swim as well. We’ll be running up to three stations simultaneously, all Elecraft K3s at 100W. We’re generator powered and have to carry the full week’s fuel with us on the boat, hence no amps. We’re expecting that most QSOs will be 15-40m; we’ll monitor the higher HF bands as well and may venture on to 10/12 if propagation favours them; similarly we may throw up an 80m dipole but don’t expect to do very much, if anything, there. There will definitely be CW (op M0VFC) and SSB (ops M0IDA and M1ACB); we may also do some data if time permits. We hope to beaconing WSPR when the stations are otherwise inactive. We should be active on some satellite passes with hand-held antennas: the FM birds will only cover parts of the USA, and not EU, so we’ll attempt some FO-29 passes as well. We aren’t satellite experts though, so be patient with us. QSL is via M0OXO’s OQRS system. We will upload to Club Log and LotW regularly throughout the trip, assuming all the kit plays nicely. I’m very happy to have been a small part of the M6T team for CQWW SSB 2015. 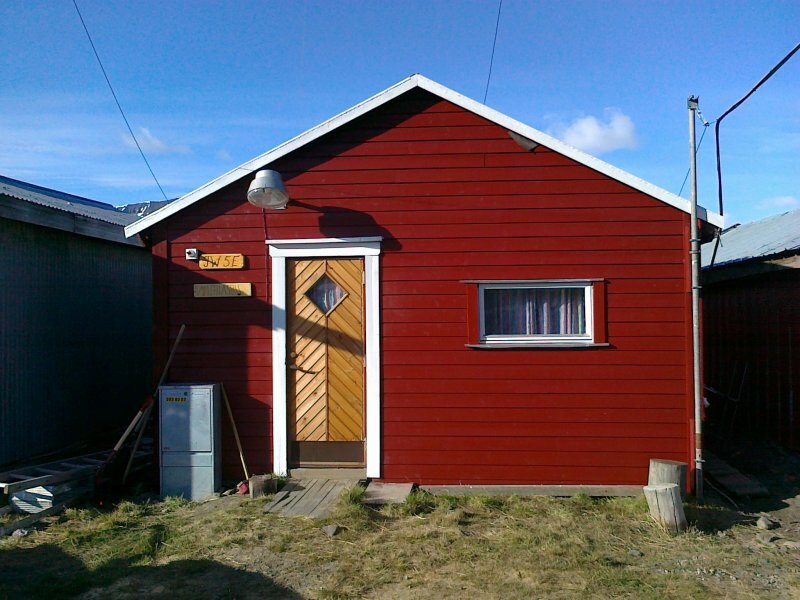 I’ll be on Svalbard (EU-026) from 10-17 July 2015, operating as JW/M1ACB. I’ll be travelling with G3ZAY, M0BLF, M0HSW, M0TJH and M0VFC, all operating as JW/home callsign from the QTH of JW5E in Longyearbyen, Svalbard. Potentially operating on 40m-10m, we are likely to have the best conditions on 30m, 20m & 17m, but we’ll also be watching for openings on 10m and 6m. All operators will have their own arrangements for QSL, so please check qrz.com. My own QSL route will only be via ClubLog OQRS with logs also uploaded to LoTW. A huge thank you to the group for letting me join them and also to Gavin M1BXF for thinking of me when he unfortunately had to change his plans. I spent an enjoyable Sunday afternoon operating GB2WTM from Woodbridge Tide Mill, on the River Deben, with other members of the Felixstowe & District ARS during National Mills Weekend. I’ll be travelling to the Scottish Isles with Camb-Hams again this year. 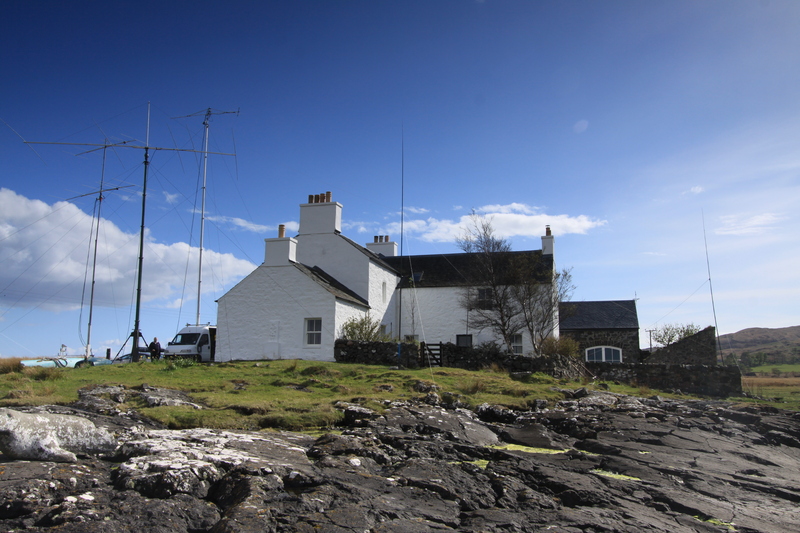 We will be returning to Grasspoint IO76EJ on the Isle of Mull (EU-008) and operating as GS3PYE/P from 15-21 May 2015. Camb-Hams have been activating the Scottish Isles each year since 2008 and we will be travelling to the Isle of Mull again in 2015. Eleven operators will be active with multiple stations on HF on 3.5-28MHz SSB, CW, RTTY and PSK with dipoles and verticals and up to 400W if necessary. VHF activity will be on 50MHz, 70MHz and 144MHz, all bands QRO with sizeable antennas. Satellite operations on 2m & 70cm will use an Icom IC-910 and X-Quad antennas mounted on a fully automatic AZ/EL tracking system. We will likely be heard on JAS-2 (FO-29), OSCAR 7 (AO-7), SAUDISAT 1C (SO-50) and FUNcube-1 (AO-73). The team will be active in the 80m CW CC event on the 21st May and in the 144MHz contest on the 16th and 17th. We may do very short side trips to Iona (EU-008) and the Treshnish Isles (EU-108), and probably some SOTA activations too. We’ll announce these nearer the time on the website. Please QSL only via OQRS on ClubLog for direct or bureau cards. Do not send any cards direct or via the bureau. Most importantly, we are a group of good friends doing what we enjoy, so please give us a call and enjoy the trip with us. We will be active on the major social networks before, during and after the trip. You can check on progress and interact with the operators via our blog at dx.camb-hams.com or through Twitter, Facebook and YouTube. Update : We had an excellent DXpedition to Mull, making a total of 10299 QSO’s on bands from 80m to 70cm. Photographs are available in my GS3PYE/P Mull 2015 gallery. 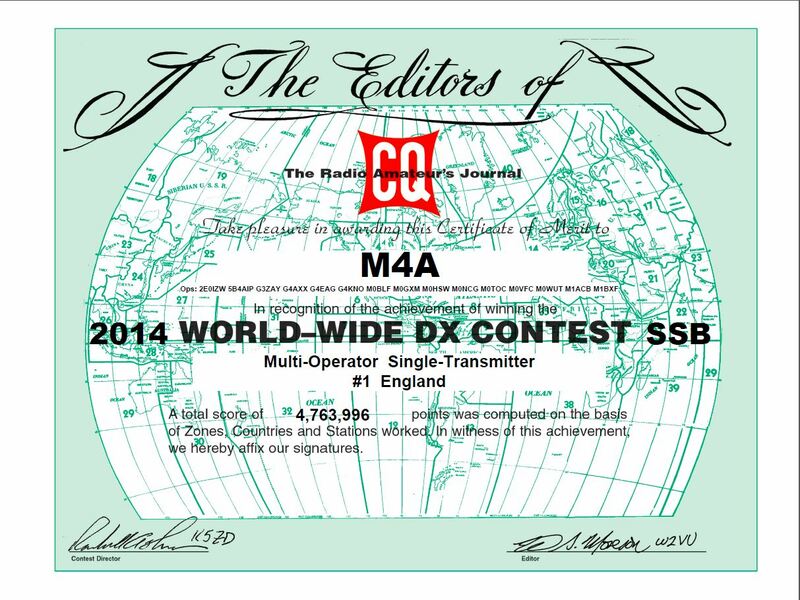 I played a very small part in the M4A team win in the CQWW SSB Contest 2014, but it’s really satisfying to see my callsign amongst the list of team members on the winners certificate for the Multi-Operator Single-Transmitter England category. We will be operating GS3PYE/P from the Isle of Lewis (IOTA EU-010) on 26 April – 3 May 2014. Camb-Hams have been activating the Scottish Isles each year since 2008 and will be travelling to the Isle of Lewis in the Scottish Outer Hebrides in 2014. Thirteen operators will be active on all bands and many modes from 4m to 80m, 2m & 70cm for Satellites and 2m & 23cm for EME. 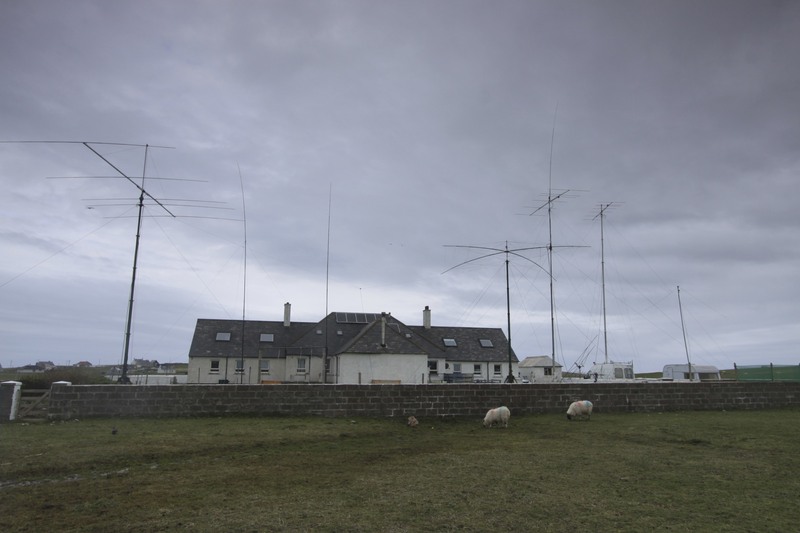 The HF bands will be covered by five simultaneous stations, while the 6m & 4m stations will have a great take-off towards the UK and Europe from the island’s northern tip in IO68 square. All stations will be able to run at the full UK power limit. EME operations will use 150W to 55 elements on 23cm and 400W to 17 elements on 2m. Primarily on JT65 but also available for CW skeds – if your station is big enough. Satellite operations on 2m & 70cm will use X-Quad antennas and a fully automatic Az/El tracking system. Activity is planned on AO-7 (mode B), VO-52, FO-29, SO-50 & AO-73. Contest operations will take place in the RSGB 70MHz UKAC on 29 April. A number of the group hope to make an extra trip to operate as GS6PYE/P from the Shiant Isles (IOTA EU-112). They are aiming for afternoon/early evening operations on 28 April, but may switch to 30 April if the weather is bad. The group will be active on HF mobile and APRS as they travel, starting on 25 April. Most importantly, we are a group of good friends doing what we enjoy, so please give us a call and enjoy the trip with us. We will be active on the major social networks before, during and after the trip. You can check on progress and interact with the operators via our blog at dx.camb-hams.com or through Twitter, Facebook and YouTube . Update : We had an excellent DXpedition to Lewis and the Shiant Isles. Photographs are available in my GS3PYE/P Lewis 2014 and GS3PYE/P Shiants 2014 galleries and a video of us operating GS6PYE/P from the Shepherds Hut on the Shiant Isles is available on YouTube. You might also enjoying watching our boat ride back form the Shiants after the weather changed a bit.